We’ve all driven past the Jaguar dealership with envy in our eyes. We love the subtle curves and the fierce engine that lies underneath. We love the idea of parking a new Jaguar in the driveway, and taking it out on the coastal roads at the weekend. For most of us, this seems a little out of reach. The sticker price alone is enough to make your wallet recoil in horror! It doesn’t have to be that way. You can afford a Jag if you put your mind to it. We’ve done our research and the sums; let us show you how you can pay for that stunning car. Buy second hand - Your first option is to glance towards the second-hand market. The prices of a brand new Jag are often astronomical. But, there are plenty of bargains to be found if you find a used model. 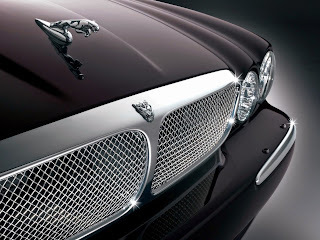 Jaguars are luxury cars, and luxury cars tend to depreciate fast. That means you could pick up a two or three-year-old model at half the price of a new one. Seek out the used cars and you’ll find the prices are often within budget. Be sure to factor in the cost of repairs and maintenance too. Get a large deposit together - We understand that it’s not always possible to lay down the full amount for a car. Instead, you’ll probably pay a deposit and monthly repayments. Our advice here is to scrape together the biggest possible deposit. That way, you’ll lower the monthly burden and ultimately pay far less interest on the loan. By doing this, you’ll keep your family finances in better health. Finance options - No car is out of reach when you find a good finance plan! It’s well worth speaking to your dealer about available Jaguar finance options. There are all sorts of deals on offer, even if you don’t have a high credit score. The two main options are the hire purchase and the personal contract plan. Both work in a similar way; you’ll pay a deposit, followed by regular payments. It can work out very cost-effective. Just read the small print, and ensure you can afford the monthly costs. Bank loan - Sometimes, you’ll have more luck turning to your current bank. They can quickly guarantee you a loan that won’t be held against the car itself. You’ll probably strike a slightly better interest rate too, but that’s not always the case. Make sure the loan isn’t secured against your home, as this could place your family under strain. Leasing - Finally, you could take an entirely different approach and lease the car. Leasing is more like a long-term car hire. You’ll still pay your deposit and monthly payments. But, they’ll be much cheaper. At the end of a three-year period, you’ll simply hand the keys back and you’re free to move on. Many drivers prefer this option, though remember that you’ll never own the car yourself. As you can see, folks, there are plenty of ways to pay for that Jaguar you love so much. Speak to your dealer and your bank, and find a deal that works for you!